In today’s world, every business needs to be web dependent. Your website shows the values and visual brand of your company. A website is the face of your business in the online sphere and must leave a lasting impression on a visitor’s mind. Its design has to be exceptionally engaging so visitors will be compelled to stay. As a committed web development company, we make sure your website is both aesthetically appealing as well functionally superior. While crafting the finest layout, it is also important to keep the objective of your business transparent. Our experience helps us deliver top quality design solutions which will compel your visitors to benefit from your products and services, and increase your sales. Your website is the first impression of your business for your visitor therefore it must be visually appealing with a unique layout, colour contrast, and compelling copy to grab the visitors’ attention. 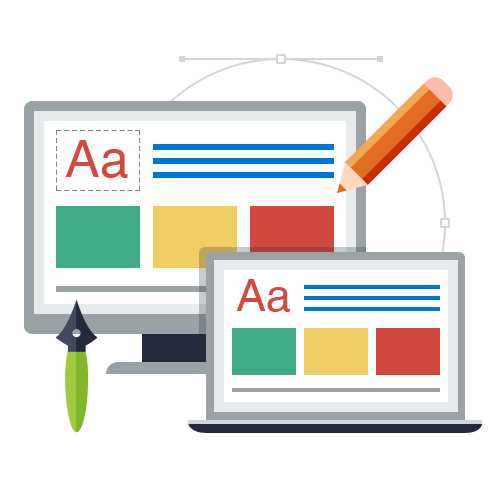 Our expert creative web designers offer a unique solution for maximum visual impact. Consultation and conceptualizing. After a thorough consultation with our team to understand your requirements, we conceptualize the entire design project for accuracy and efficiency. We make it a priority to learn about our client’s needs before we start any work. Features of call to action (CTA). Because your website is a potential marketing tool for your business, it is important to have call to action features that promote buying such as Contact Us, Buy Now, Shop Here, among others. Increasing conversions. We make sure your website is clean, easy to understand, and convenient to navigate for anyone who visits. The main focus is to engage your visitors, and turn them into potential buyers. Search Engine Optimization and Web Design go hand-in-hand to rank a website in search results. Besides the website’s visual appearance and user-friendly engaging features, it is a necessity that the website has the ability to succeed in the search world. Strong website architecture. In our design strategy, creating websites so that search engines can properly index them is a must. For search engines to successfully understand the website we make sure that the site is extremely understandable and easy to navigate. Completely responsive. In today’s day and age, where mobile phones are the new way to search the internet, any website that does not have the ability to function on another device besides a computer will be penalized. Consequently, we make mobile responsiveness a priority. Reducing bounce rates. Google largely focuses on rewarding websites that have positive user experiences. One of the ways to ensure your visitors’ satisfaction is to have quick loading time on the website. This will reduce your websites bounce rate and increase positive user experiences. We believe that through strong communication and detailed reporting we can customize details no matter how small which will ultimately improve the project to the standards that will exceed your beliefs. Transparent reporting. 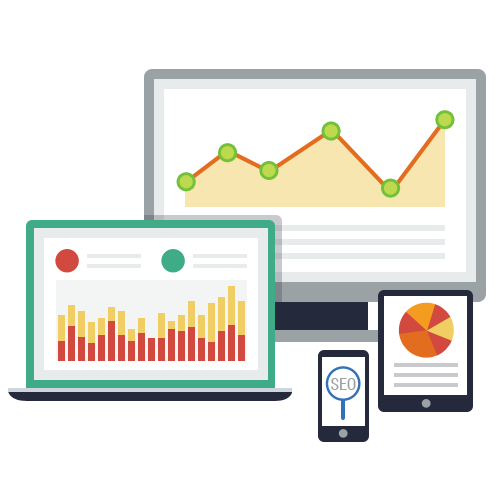 We always provide you transparent reports on your website performance. With transparent reporting, we believe that the project will be easier for us to complete while at the same time having results that fit your needs exactly. Traffic reports. 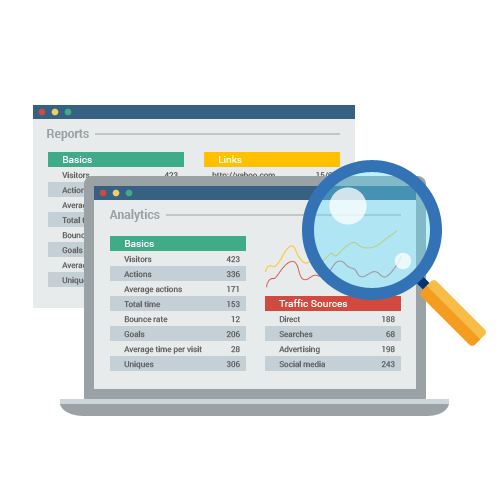 You can easily monitor the quality and quantity of traffic coming to your site. This is important not only to track the effectiveness of our work but also to find areas we can improve in. Feedback is important. We always welcome feedback from our clients. If you are not 100% satisfied with our web design work we will continue the project until you are completely satisfied.